One of the most important things you can do for your finances is to save for retirement. Your future is important, and saving up for retirement provides you with the opportunity to secure yourself against financial problems. When saving for retirement, one of your best options is a tax-advantaged retirement account. These types of accounts provide you with different investment opportunities, and you can see advantages that allow you to avoid some of return-eroding taxes that can reduce your overall wealth. Among the best types of retirement plans offered is the Roth IRA. 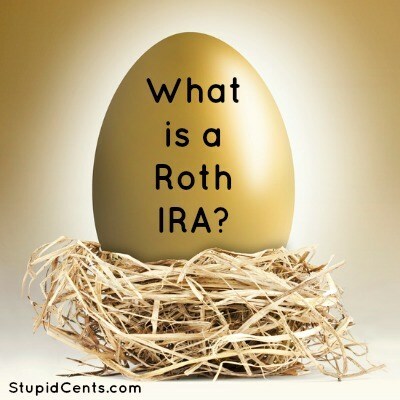 So, what is a Roth IRA? A Roth IRA is a type of individual retirement account. If you have earned income, you can open an IRA. The Traditional IRA doesn’t come with income restrictions, while the Roth IRA does. In order to contribute to a Roth IRA, you need to meet the income requirements (they chance each year, depending on inflation). It’s also important to note that you are limited as to how much you can contribute to an IRA. You can contribute up to $5,500 in 2013. This applies to all IRA accounts, so if you have a Traditional IRA and a Roth IRA, your contributions to all IRA accounts are combined. The reason that many people prefer to contribute to a Roth IRA is due to the fact that the money in a Roth account grows tax-free. With a contribution to a Traditional IRA, you receive a tax deduction, so you see an immediate benefit. However, you have to pay taxes on your earnings when you withdraw money from the account during retirement. With the Roth IRA, though, you don’t get an immediate tax benefit. You pay your taxes before you contribute your money. However, the money in the account grows tax-free. So, later, when you withdraw money from the account during retirement, you don’t have to pay taxes on it. Your earnings grow tax-free, which can be a real benefit later on. What are Some of the Other Benefits of a Roth IRA? There are a number of other benefits that come with a Roth IRA. One of the reasons that a Roth IRA is so popular is that it’s easy to access the money. You can withdraw the contributions you make at any time, for any reason, without penalty (there might be penalties for withdrawing the earnings). It’s inadvisable to withdraw money from your Roth IRA, since you could miss out on opportunities to earn more. You don’t want to put your future at risk if you can help it. Plus, if you think that taxes will go up in the future, it makes sense to go with a Roth IRA if you meet the requirements. You pay taxes now, but at a lower potential rate. If you retire in a higher tax bracket, or if taxes rise later, you can save in the long run since you don’t have to pay taxes on your withdrawals. It also means that a Roth IRA is ideal for investments that are inefficient in terms of taxes, like stocks. As you prepare for retirement, make sure that you consider your account options, and consider a Roth IRA.